Utah loves its pioneers, both past and present. If Utah's Mormon pioneers hadn't pushed their handcarts and farm wagons across the country in 1847 against all odds, the bustling metropolis in which we find ourselves today might be simply a wide spot in the road. Many Salt Lakers, in fact, descend from those plucky souls who felt called to make the desert bloom. So, what becomes of all that pioneer DNA when there are no more continents to cross, no more frontiers to tame? For some Utahns, today's frontier is not so much out there, but here at home. One pioneer is working to house Salt Lake City's homeless, another assists immigrants and LGBT youth through her ministry, and still another is forging a new definition of marriage. Two more are creating new ways to connect audiences with the arts. They don't yet have schools named after them, but give them time. They're pioneers in the making. 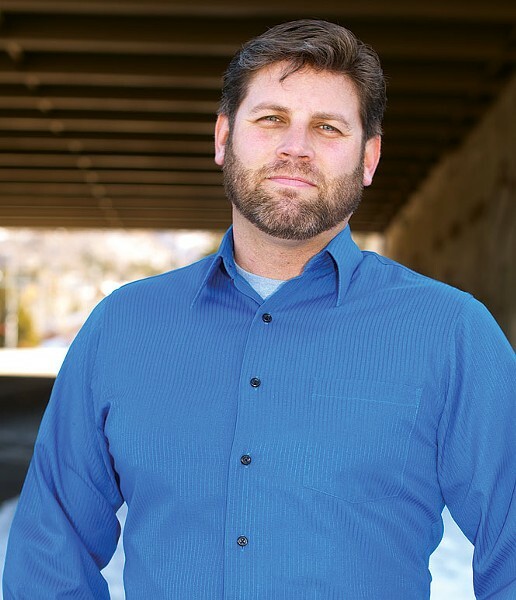 Travis Hysell is president and founder of The Legacy Initiative, a Utah County-based nonprofit that does outreach to Salt Lake City's homeless. Formed in 2012, the organization works to build support for an affordable-housing project for the homeless, based on Portland's Dignity Village. Hysell's nonprofit includes seven unique teams made up of 400 volunteers aimed at fighting hunger, providing humanitarian aid and educating people. The Grey Team, for instance, renders services and direct aid to the homeless and their pets. The Red Team provides safety and community-watch services, while the Green Team is involved with sustainability and community gardens. The "Causeplay" Team volunteers dress up in costumes and bring sunshine to kids suffering from homelessness, poverty and serious illness. "A new player like The Legacy Initiative gives us a chance to think differently," says Salt Lake City Councilman Kyle LaMalfa. "I like the opportunity to work with the Legacy people and have them push us to think in different ways." 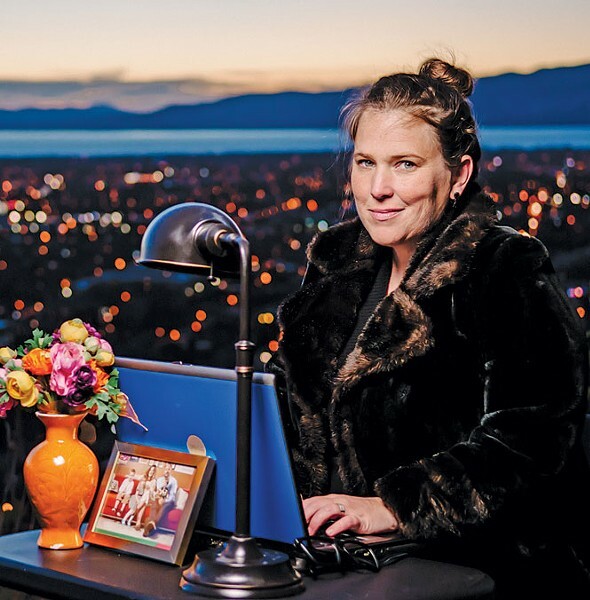 Provo's music scene is no longer its best-kept secret, and one of the people to thank for that is local writer C. Jane Kendrick. Kendrick was part of the original group of artists, musicians and other community-minded Provoans who came up with the Rooftop Concert Series five years ago. The free summer shows feature mostly local acts performing on the roof of the Provo Town Square's parking terrace. 2014's series culminated in a special five-year anniversary show with hometown heroes Neon Trees, Fictionist and The Blue Aces. Kendrick admits that she was a rookie to Provo's music collective when she first helped launch the series in 2009. "I didn't even know who the Neon Trees were," Kendrick says. "And I still feel like an imposter in the [music] scene sometimes." But that doesn't temper Kendrick's reputation as the series' most ardent and visible advocate. Much of that has to do with the popularity of her blog, an ongoing series of confessions from a progressive Mormon raising four kids in a famously conservative city. "I have felt for a long time this pressure to present Provo in a better light," Kendrick says. "I get why people hate on Provo ... but it's changing—and in some really dynamic ways." Local LGBT activist and media producer (aka "the gay mayor of Salt Lake City") Troy Williams—one of "the Capitol 13" arrested in 2014 for protesting at the Capitol in support of the Senate Bill 100 nondiscrimination bill—continues to instigate social change in a new, perhaps more effective way. Since becoming Equality Utah's executive director in late 2014, Williams is now equipped with organizational support and a more diplomatic approach. Williams says SB100 is still a top priority for Equality Utah, and he is hopeful it will pass this year due to growing support. "You can still be fired from your job or evicted from your house for being gay or transgender," he says. "You can be denied service in public spaces. We are asking the state of Utah to update their laws to include sexual orientation and gender identity." Williams gives partial credit to his Mormon upbringing for his commitment to social justice. "As a Mormon, you are taught to give back to the community and make the world a better place," he says. His involvement also stemmed from seeing a great rift between the LDS and gay community. "This conflict wasn't just throughout the state," Williams says. "My own family was divided over these issues." Williams is very happy in his new role. "Equality Utah has had a tremendous historical impact on changing the climate of Utah," he says. "I want to be able to live up to the legacy of this organization, help sustain it and make it stronger." You might say that the Rev. 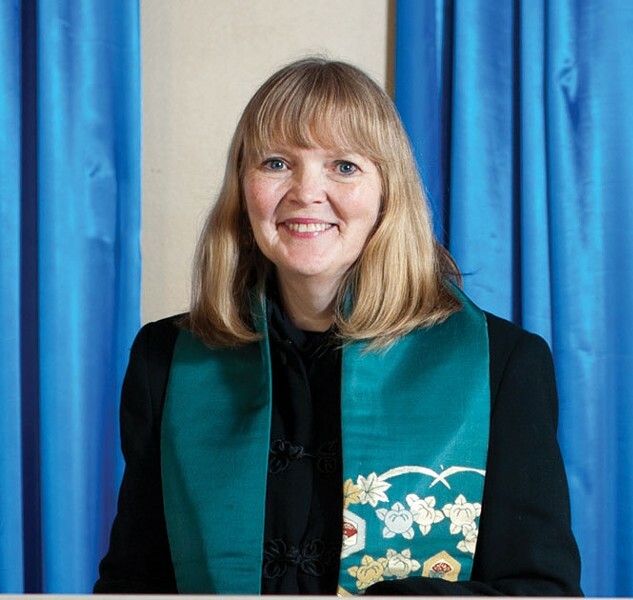 Patty Willis, developmental minister of South Valley Unitarian Universalist Society, took the long way home to arrive at her current position. A graduate of Brigham Young University, Willis earned a master's degree in French literature at the University of Illinois Champaign-Urbana. Upon graduation, she and her partner, Mary Lou Prince, moved to a small Buddhist village on the west coast of Japan where they founded a theater company. After spending more than two decades in Japan, they returned to the United States, settling in Arizona near the Mexican border. Willis felt a connection with the immigrants she met there. After seeing the hardships they had to endure, she felt the call to attend a Quaker seminary school in Indiana. Between the Rose Wagner Center, Capitol Theatre, Pioneer Memorial Theatre and numerous private theaters, Salt Lake City does not lack performing-arts venues. In 2007, however, dancer and choreographer Brittany Reese identified something missing among spaces for the performing arts, namely a multi-use space designed specifically for emerging and mid-career artists looking to stage and exhibit their own work. Enter Sugar Space, a small facility in the heart of Sugar House that might feature a dance class one day and an art exhibit the next. It can host a local theater company's short production run for one week and a traveling classical pianist on the weekend.